The aims of the day are two-fold: acquiring confidence through your new skills and learning to trust in the creative process. 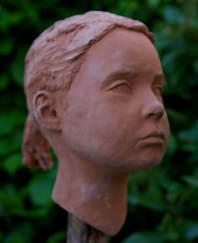 Tuition will be provided throughout, but you will also be guided by your sculpture and your intuition. Materials are not included in your course fee. Some materials will be provided by the tutor. The approximate cost of these will be £5.00 - £15.00 for clay depending on the amount used and £3.00 - £10.00 for firing (optional). Please allow 4 - 8 weeks for firing, and collect from Sculpture Workshops Oxford, OX13 5PF, Garford near Abingdon/Oxford. The cost of materials, and firing if desired, is payable to the tutor during the course. The items you will need to bring with you are listed below. The tutor may not have the facility to take card payments for materials Please remember to bring cash or your cheque book.